In prior articles we have discussed many types of financing transactions that involve parties within the United States and globally. With any commercial financing transaction, the choice of law and venue provisions are important considerations that are negotiated among the parties in these types of deals. As highlighted in Consenting to Jurisdiction: Forum Selection Clauses and the “Minimum Contacts” Requirement, jurisdictions in the U.S. and other countries have uniquely different bodies of law and precedent governing various types of financing transactions. Should a dispute arise in a financial agreement, legal counsel will want the dispute to be heard in a court that understands the nature of the financing transaction and which will apply the law and decision to the case based on the chosen choice of law. In some cases, the uniqueness of the industry or transaction can affect the choice of jurisdiction for appointment of a process agent. For instance, in a transaction where an individual or entity is purchasing a racehorse, the terms of the purchase agreements, loan documents and equine financing agreements may often include Kentucky as the governing law to be applied and the jurisdiction in which any dispute may be initiated and litigated. Equine law in Kentucky has a long history of legal precedent that lending institutions favor when financing the purchase of racehorses and taking collateral in these types of transactions. Among many other requirements, such as perfecting a security interest in the horse as collateral, Kentucky law requires a written contract when the purchase transaction involving a racehorse is $10,000 or more. The majority of purchases of thoroughbred racehorses significantly exceed that amount, therefore legal counsel will carefully consider the governing law provisions applied in the written contracts. 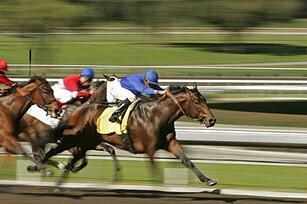 There are many Kentucky law firms with sophisticated legal counsel experienced in equine financing. This level of expertise and legal precedent in Kentucky provides comfort to all parties when entering into these types of transactions. If Kentucky is the agreed to venue and choice of law and the purchaser does not have presence in the state of Kentucky, the purchaser may be required to name a process agent (also referred to as “agent for service of process”) to establish minimum contacts within that state and, if there is a dispute, receive and forward any legal proceeding to the purchaser at their domestic U.S. or international address.